Multi-divisional Engineering, Design, Analysis Lab-wide Support (MEDALS) – NASA Jet Propulsion Laboratory, Pasadena, CA – Sierra Lobo, Inc.
Sierra Lobo (SLI) is one of three companies awarded the Multi-divisional Engineering, Design, Analysis Lab-wide Support (MEDALS) subcontract for NASA’s Jet Propulsion Laboratory (JPL) in Pasadena, CA. JPL is managed by the California Institute of Technology (Caltech) for NASA. 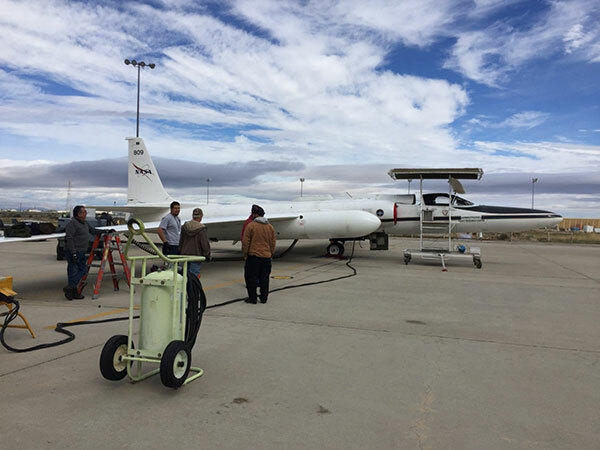 SLI performs tasks and provides services in support of non-flight and flight areas of engineering, technology development, hardware development, test development, and operations support. Tasks span both formulation and flight development activities and include efforts relating to requirements definition, concept definition, tradeoff studies, hardware design, modeling, simulation, analysis, review support, mechanical and electrical fabrication, inspection, assembly and integration, and technical-documentation support. The subcontract period of performance is five years. 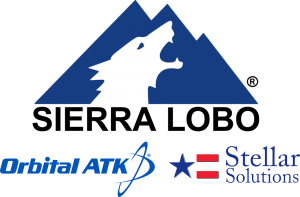 Our partner, Orbital ATK, brings diverse experience providing engineering, technology development and hardware development through engineering services to JPL and NASA. Headquartered in Dulles, Virginia, Orbital ATK offers an array of highly specialized engineering services, scientific research, and aerospace expertise. 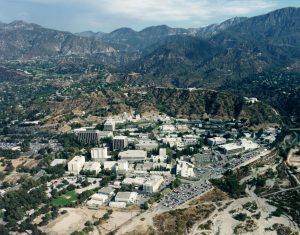 Orbital ATK has an 18-year history of providing engineering services to the Engineering and Science Directorate at JPL. Our other partner, Stellar Solutions, Inc., a leader in government and commercial aerospace programs, brings a cadre of qualified personnel holding the necessary security clearances and who support the areas of systems engineering and mission support. Their experienced engineers and scientists provide expertise through all phases of advanced engineering projects, from planning, development, instrument and payload integration, to mission launch and operation. The SLI Team brings over 18 years of experience gained by supporting JPL on a variety of projects from Flight Systems to Technology Demonstration efforts to the Multi-divisional Engineering, Design, Analysis Lab-wide Support (MEDALS) contract. Optical System Design/Opto-Mechanical Design: The SLI Team brings over 18 years of experience gained by supporting JPL on a variety of projects from Flight Systems to Technology Demonstration efforts to the Multi-divisional Engineering, Design, Analysis Lab-wide Support (MEDALS) contract. Electronics Design and Performance Analysis: The SLI Team brings over 18 years of experience gained by supporting JPL on a variety of projects from Flight Systems to Technology Demonstration efforts to the Multi-divisional Engineering, Design, Analysis Lab-wide Support (MEDALS) contract. Worst-Case Analysis & Magnetic Sim. Electronics Packaging and Cable/Harness Engineering: The SLI Team brings over 18 years of experience gained by supporting JPL on a variety of projects from Flight Systems to Technology Demonstration efforts to the Multi-divisional Engineering, Design, Analysis Lab-wide Support (MEDALS) contract. Structural Analysis and Thermal Engineering: The SLI Team brings over 18 years of experience gained by supporting JPL on a variety of projects from Flight Systems to Technology Demonstration efforts to the Multi-divisional Engineering, Design, Analysis Lab-wide Support (MEDALS) contract. Propulsion Engineering: The SLI Team brings engineering experience gained by supporting customers on a variety of projects from Flight Systems to Technology Demonstration efforts to the Multi-divisional Engineering, Design, Analysis Lab-wide Support (MEDALS) contract. Radio-frequency (RF) Engineering: The SLI Team brings engineering experience gained by supporting customers on a variety of projects from Flight Systems to Technology Demonstration efforts to the Multi-divisional Engineering, Design, Analysis Lab-wide Support (MEDALS) contract. Cryogenics Engineering: The SLI Team brings over 18 years of experience gained by supporting JPL on a variety of projects from Flight Systems to Technology Demonstration efforts to the Multi-divisional Engineering, Design, Analysis Lab-wide Support (MEDALS) contract. Guidance, Navigation, and Control Services: The SLI Team brings over 18 years of experience gained by supporting JPL on a variety of projects from Flight Systems to Technology Demonstration efforts to the Multi-divisional Engineering, Design, Analysis Lab-wide Support (MEDALS) contract. Contamination Control Services: The SLI Team brings over 18 years of experience gained by supporting JPL on a variety of projects from Flight Systems to Technology Demonstration efforts to the Multi-divisional Engineering, Design, Analysis Lab-wide Support (MEDALS) contract. © 2017 Sierra Lobo, Inc. All Rights Reserved. Some images are courtesy of NASA, the U.S. Army, Air Force, and Navy and MDA through their public domain picture distribution policies. The reader is advised that inclusion of the Government material from NASA and the Department of Defense material does NOT explicitly or implicitly convey an endorsement by the United States Federal Government or any of its agencies of any commercial goods or services offered from this website.